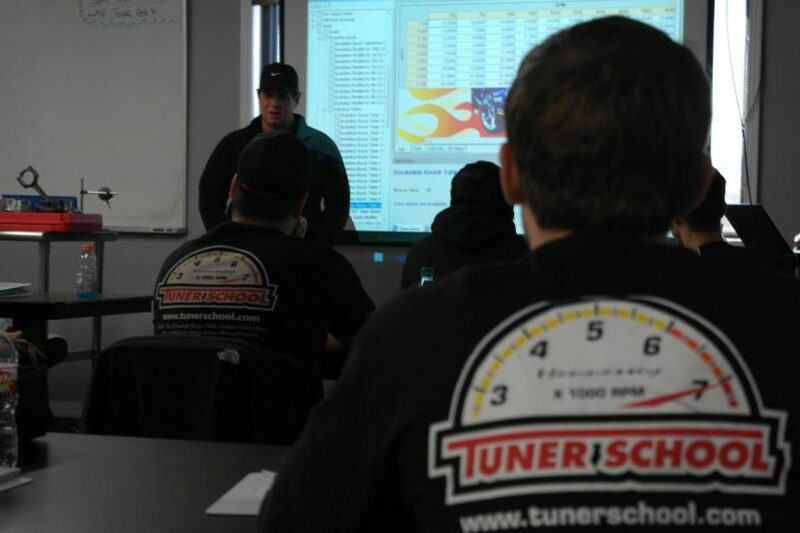 John Hennessey Q&A at Tuner School. The man, the myth, the legend, John Hennessey! 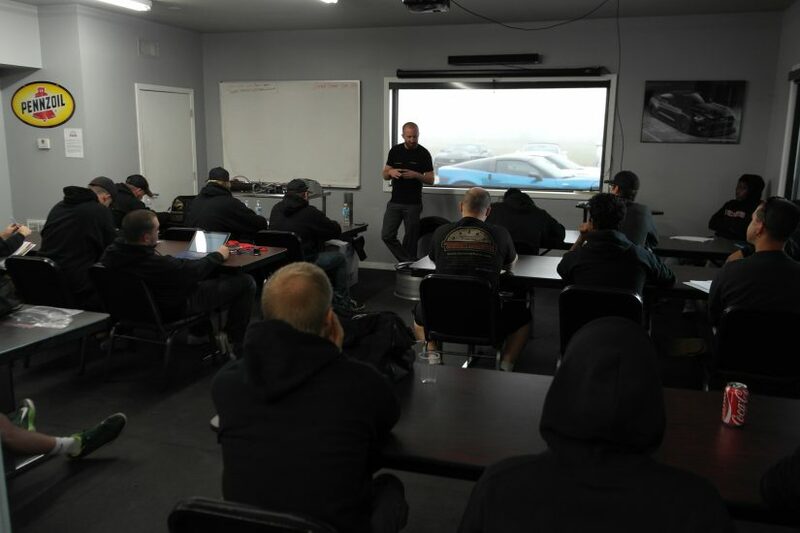 John Heinricy, record holding race car driver and GM Performance Engineer, stopped in to talk to the students about vehicle dynamics. John also was contracted to design the suspension system on the Hennessey Venom GT. 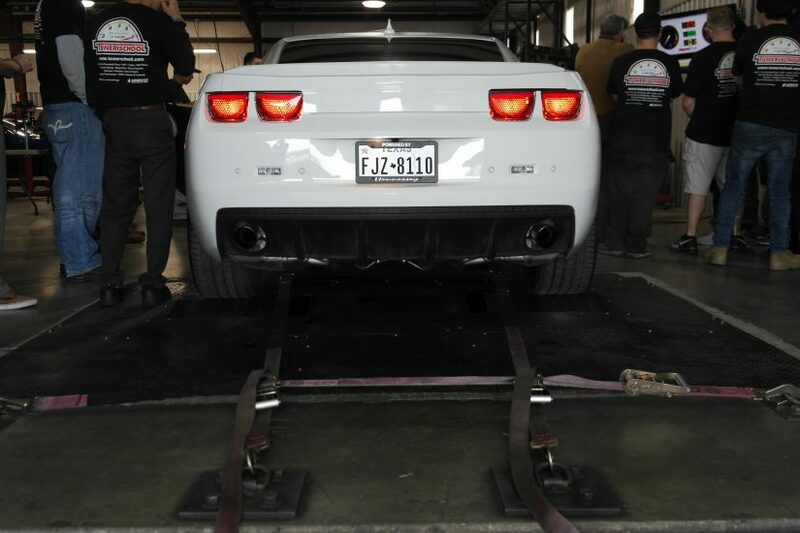 Team White Camaro has an average baseline of 352 rwhp and 342 tq. That’ll increase with performance modifications in the weeks to come! 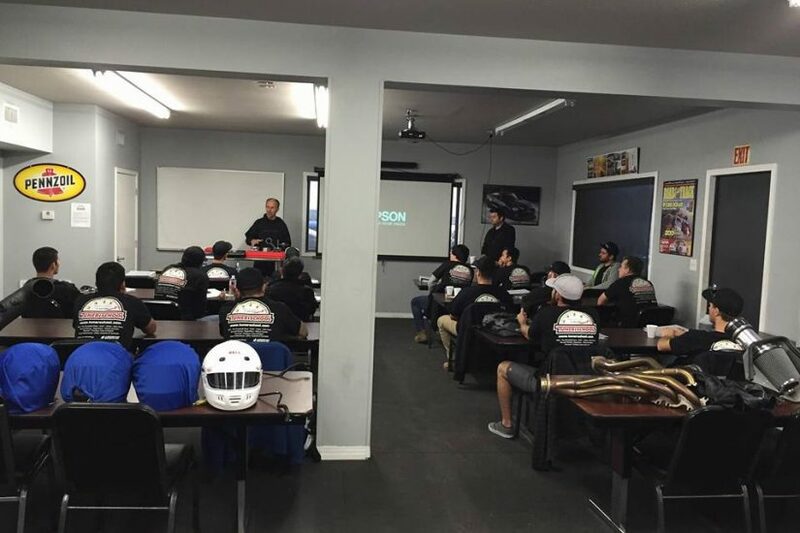 Spring 2016 Tuner School Class students are ready to kick off the semester and learn how to make fast cars way faster! 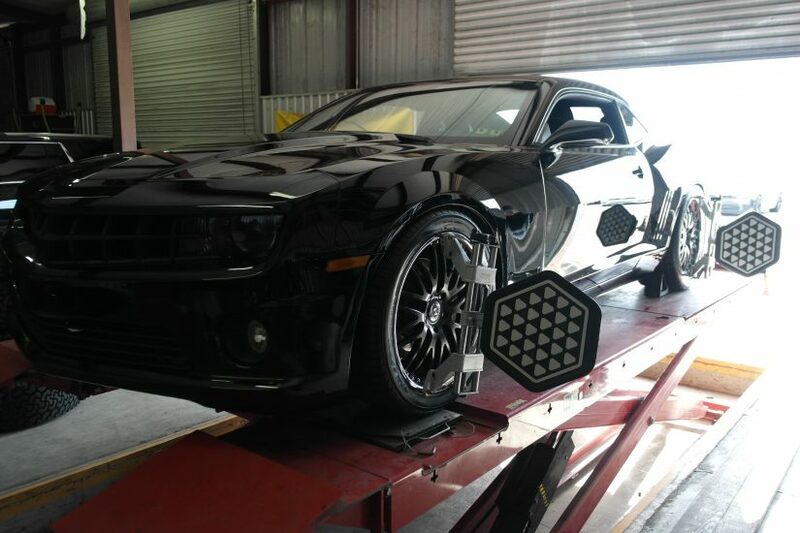 What is your favorite wheel and tire combination? 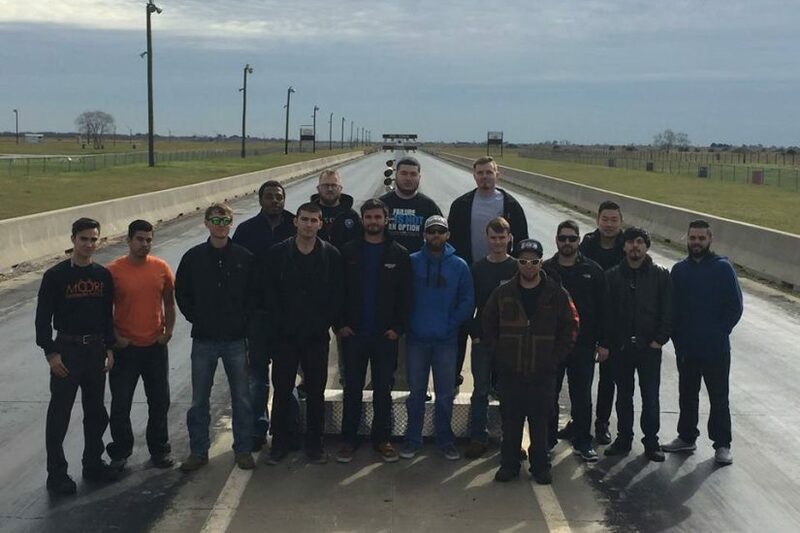 Fall 2015 Tuner School Class out on the track doing testing and lined up their cars for a photo shoot. 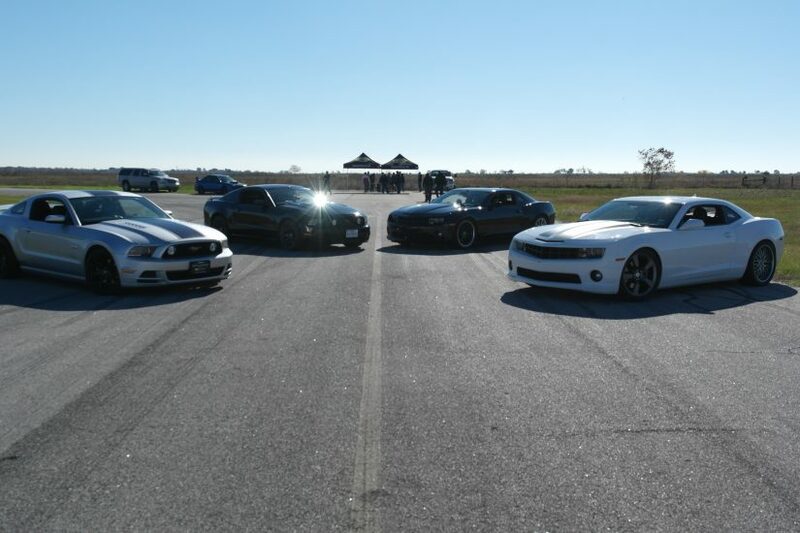 Track days are fun days to learn what the power adders do in the real world on the asphalt. 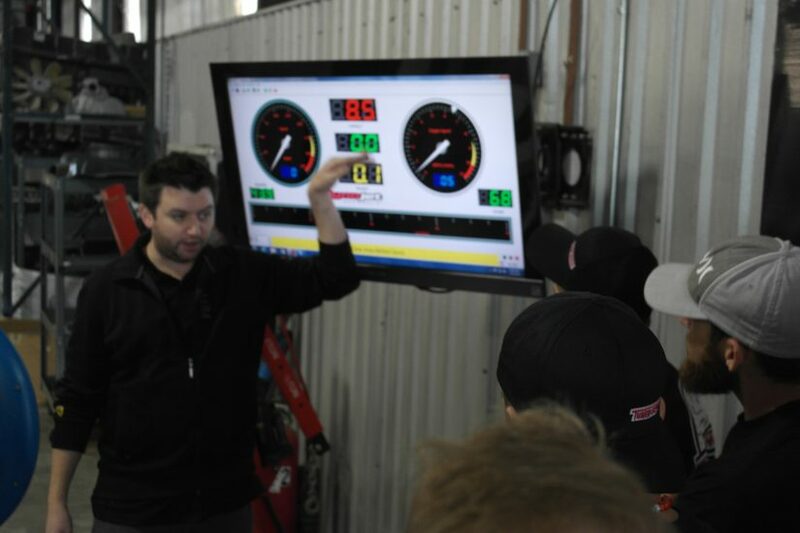 Test your high performance automotive knowledge at Tuner School. 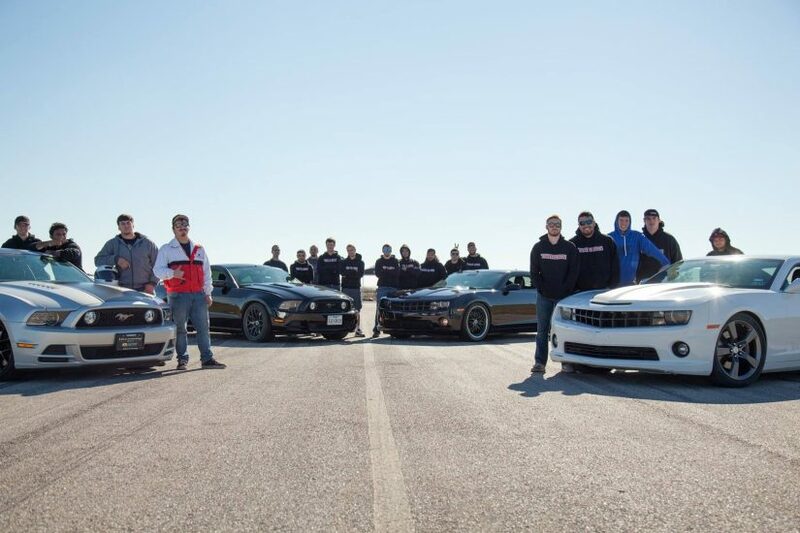 Apply today to learn how to make fast cars go even faster!